The 2016 League of Legends World Championship was a competitive gaming event held across several cities in the United States from September 29 – October 29, 2016. Sixteen teams qualified for the tournament based on their placement in regional circuits in North America, Europe, South Korea, and China. San Francisco’s Bill Graham Civic Auditorium hosted the group stage matches, The Chicago Theater the quarterfinals, and then to Madison Square Garden in New York City for the semi-finals. The final was held in front of a crowd of nearly 20,000 fans at the Staples Center in Los Angeles. The championship went to SK Telecom T1, defending their 2015 title by defeating runner-up Samsung Galaxy 3-2 in a best of five final series. With their win, SKT became the first three-time League of Legends world champion. SKT’s Lee “Faker” Sang-hyeok was named MVP of the tournament. 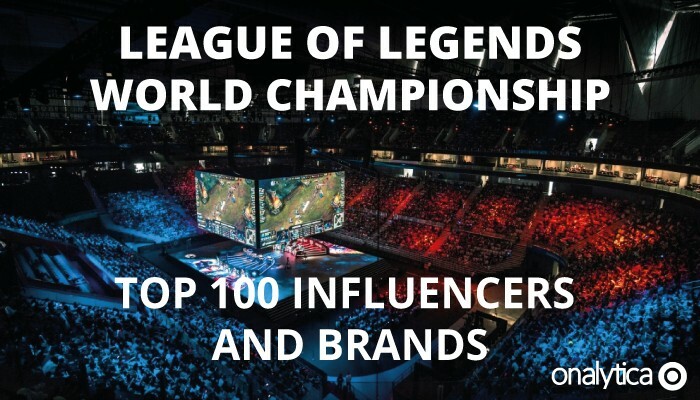 As eSports is such a growth area with plenty of opportunities for sponsorship, we were very interested in seeing which influencers and brands were leading the discussion around the League of Legends World Championship. In order to identify the influencers we first needed to look at the conversation, and as Twitter remains the best platform for it’s open data policies we started by extracting over 905K tweets tweets from 16th September – 15th November 2016 mentioning the key words: “League of Legends World Championship” OR “League of Legends 2016 World Championship” OR “LOL World Championship” OR “LOL Worlds” OR “LOL Worlds2016” OR #Worlds OR #Worlds2016. We then added these tweets and accounts into our database and categorized and curated a top 100 list ranked on a combination of the 4 R’s (Resonance, Relevance, Reach and Reference). These accounts were then added into our Influencer Relationship Management software (IRM). 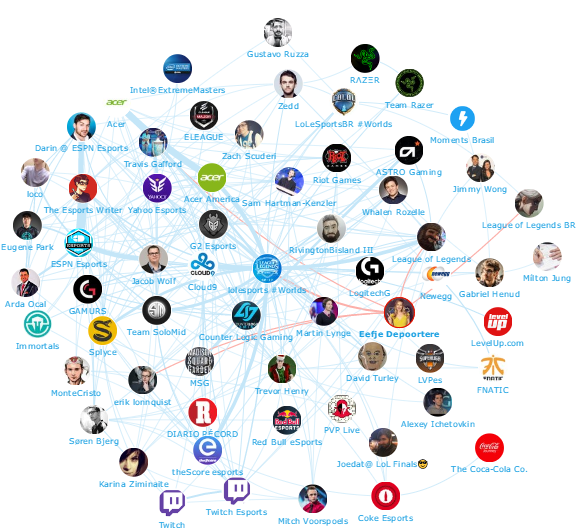 Below you can see a network map of the conversations with the number one brand lolesports #Worlds at the centre. Be sure to click on the map to enjoy the full size network diagram in greater detail. Below you can see another network map created with in IRM showing the number 1 influencer Eefje Depoortere at the centre. If you are interested in learning more about identifying, managing and engaging with influencers click here to get in touch! 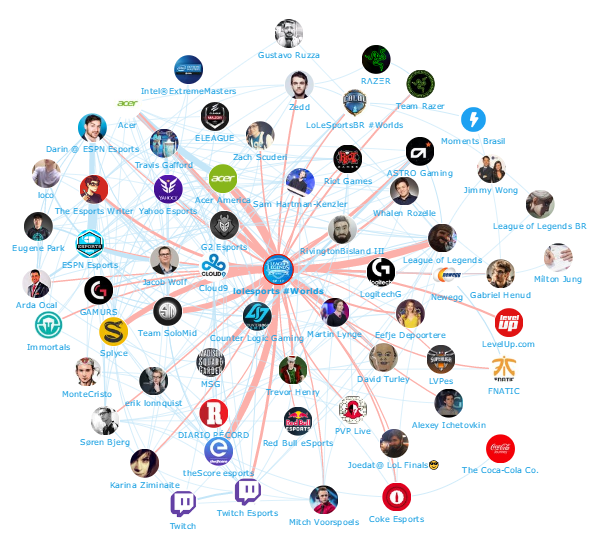 Below is a list of the top 50 influencers talking about the League of Legends World Championship on Twitter. If you want to see who ranks from 50-100 be sure to download the full report by clicking the download button below! Disclaimer: As ever with these lists, it must be stressed that the ranking is by no means a definitive measurement of influence, as there is no such thing. 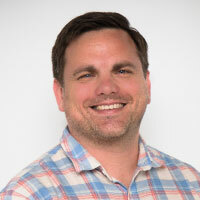 The brands and individuals listed are undoubtedly influential when it comes to driving discussion around League of Legends.